W. W. Norton & Company, 9780393608533, 256pp. Rachel is a woman with a problem: she can't die. Her recent troubles--widowhood, a failing business, an unemployed middle-aged son--are only the latest in a litany spanning dozens of countries, scores of marriages, and hundreds of children. In the 2,000 years since she made a spiritual bargain to save the life of her first son back in Roman-occupied Jerusalem, she's tried everything to free herself, and only one other person in the world understands: a man she once loved passionately, who has been stalking her through the centuries, convinced they belong together forever. But as the twenty-first century begins and her children and grandchildren--consumed with immortality in their own ways, from the frontiers of digital currency to genetic engineering--develop new technologies that could change her fate and theirs, Rachel knows she must find a way out. 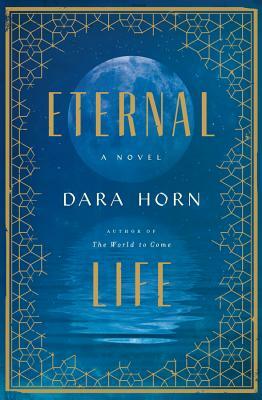 Gripping, hilarious, and profoundly moving, Eternal Life celebrates the bonds between generations, the power of faith, the purpose of death, and the reasons for being alive.